Tomorrow, we will be one month away from the unveiling of the Samsung Galaxy S10, Galaxy S10+ and the foldable that could go by the name Galaxy Fold. We know that the clock is continuously bringing us closer to this event because earlier today we were able to show you leaked press renders of the Galaxy S10E, Galaxy S10 and Galaxy S10+. In addition, as spotted by tipster Ice Universe, Samsung has produced a video teaser for the Unpacked event that promotes the idea that when it comes to smartphone innovation, especially design, Samsung is heads and shoulders above the competition. The video also hints that there will be some outstanding battery related feature on the new phones, either a larger capacity battery or faster charging. Last year's Galaxy S9 is equipped with a 3000mAh battery, while the one powering the Galaxy S9+ is a larger 3500mAh. Previous rumors suggest that the Galaxy S 10+ will launch with a 4000mAh battery, while the Galaxy S10 will feature one with a capacity of 3500mAh. The Galaxy S10E will reportedly carry a 3100mAh battery inside. 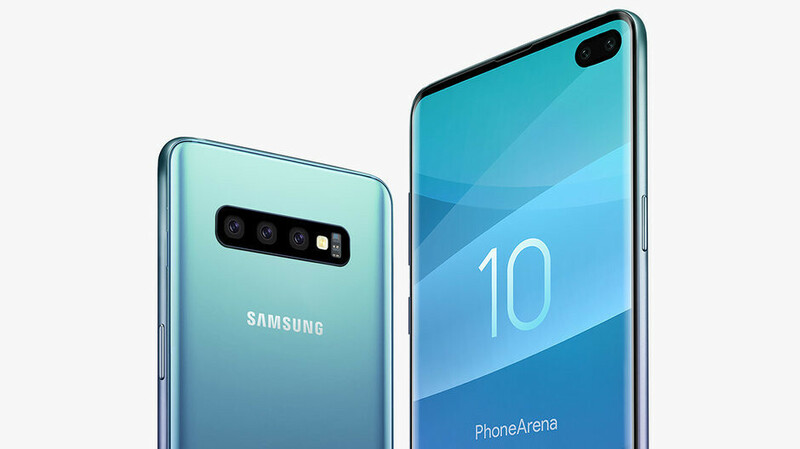 The Samsung Galaxy S10 series will feature the use of a hole punch for the front-facing camera (two in the case of the Galaxy S10+). The entry level Galaxy S10E will feature a dual-camera setup while the others will have a trio of cameras on the back. A 5G version of the Galaxy S10 is also expected to be unveiled during the first quarter. You might notice that the teaser shows that the Unpacked event will take place on February 21st; that's because in Asia the calendar will have flipped to the next day while it will still be the 20th in the U.S. Check out Samsung's video teaser for the Galaxy S10 directly below. ALL phones have their issues. I switched to the Pixel 3 because I was having issues with my S9+ because it wouldn't stay connected to wifi and had trouble staying connected to Bluetooth quite often. The fact that one of your phones has issues does not mean ALL phones have issues. My OnePlus 6 works 100% as intended, without even the smallest bug or issue. Completely depends on what you want out of an android phone. If you like features, many of which will eventually come to pixels later, a solid experience with minimal bugs and upgrade within three years, Samsung will suit you fine. Pretty sure the s10e is not going to be priced much different than the XR so it's going to be higher than anticipated. It should be around 600$ because its gonna be 1080p, not gonna have under display fps, gonna have 2 rear camera and a flat display. But I guess less people are upgrading nowadays so they may start increasing the price to earn more money. What about the Pixel 3 lite versions out this year? Have a look at them too. I want an oled display and also I never really buy midrange phones, I always buy flagship phones. We already know the battery sizes. 3100, 3500 and 4000. This was confirmed months ago by Iceuniverse. S10 or V40 or Mi Mix 3 ?